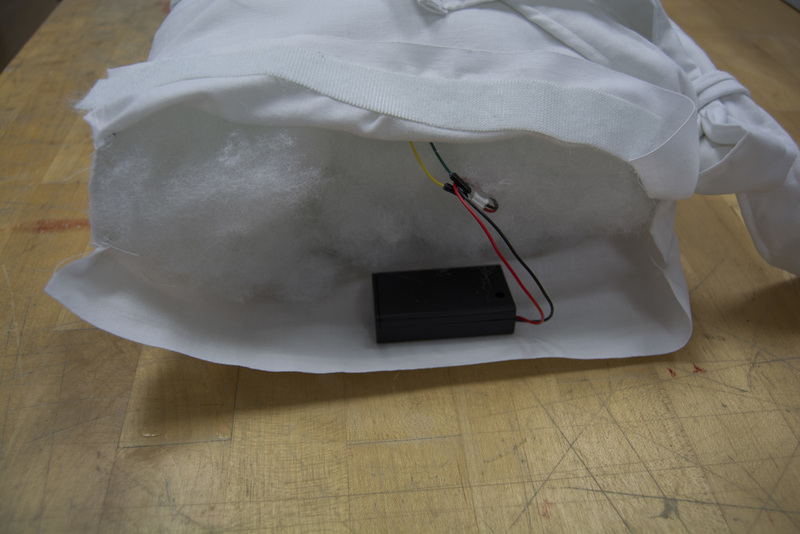 Using a simple mechanism, the pillow buzzes when you slouch, promoting better posture. I worked with Derek Legenfelder on this project. Planning sketches for the structure and wiring. My partner added the extra vibration motors to the circuit and the battery pack. 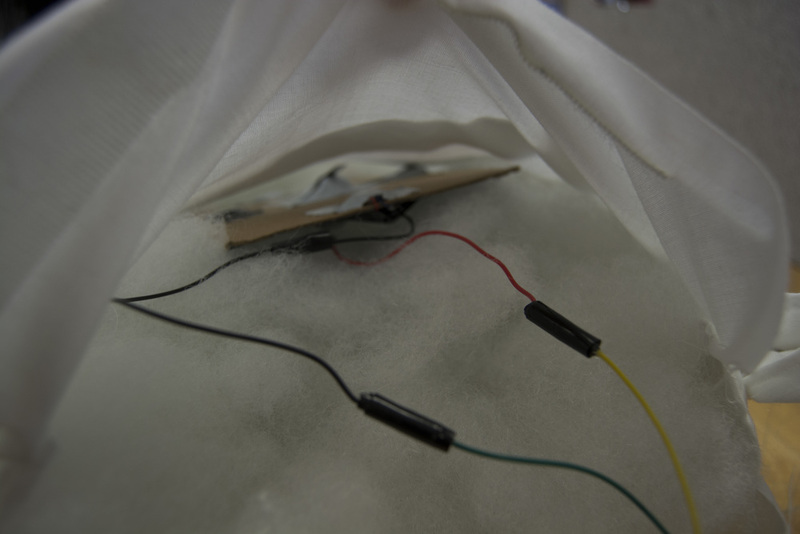 The photos below are of the final pillow and the inner mechanism.